The Devil's Staircase, a series of cataracts on Wassen Creek in southwest Oregon. A national public lands bill approved by the U.S. Senate on Tuesday includes wilderness protections for the Devil’s Staircase in southwestern Oregon, a 30,000-acre area that includes some of the largest old-growth forest stands in the Coast Range. The measure also includes a number of wild and scenic river designations, including portions of the Molalla River east of Salem and about 120 miles of Rogue River tributaries in southern Oregon. Altogether, according to Sen. Ron Wyden, D-Oregon, the measure would provide protection for about 250 miles of rivers and streams in Oregon. That would give the state more wild and scenic designations than any other state besides Alaska, he said. The bill also would allow forest thinning to reduce fire danger in a wilderness area near the Crooked River Ranch, north of Redmond. In addition, the bill calls for a unified national volcano early warning and monitoring system that aides to Sen. Maria Cantwell, D-Washington, said will provide additional resources for the Cascades Volcano Observatory in Vancouver, Washington. The measure passed on a bipartisan 92-8 vote and now goes to the House. The measure is important nationally because it contains provisions aimed at stabilizing funding from the Land and Water Conservation Fund for a wide variety of parks and other outdoor assets. The fund receives about $900 million a year in revenues from off-shore oil drilling, but Congress has siphoned off some of the money for other uses. 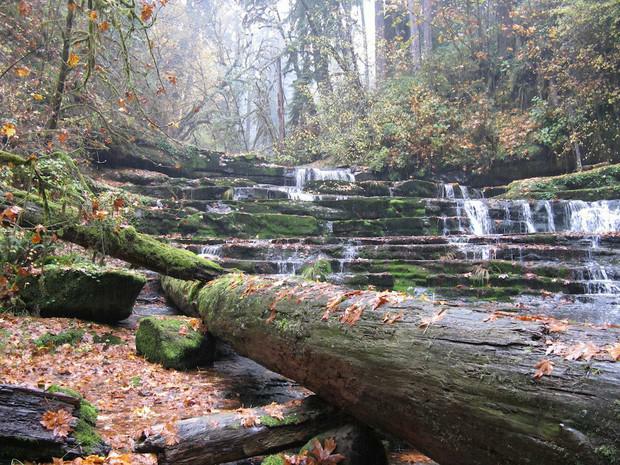 The final bill passed by the Senate did not include two key recreation area designations sought by Wyden. One added another 100,000 acres to the Rogue River area and the other provided protection for 30,000 acres in the Molalla River watershed. Wyden and Rep. Greg Walden, R-Oregon, had sparred over those provisions. In particular, Walden argued that the Rogue River wilderness additions could hurt efforts to thin forests and reduce wildfire impacts on southern Oregon. Wyden said he would continue to fight for those wilderness areas.